Health care professionals now have a clear and concise overview of all relevant aspects of implantable cardioverter-defibrillators. 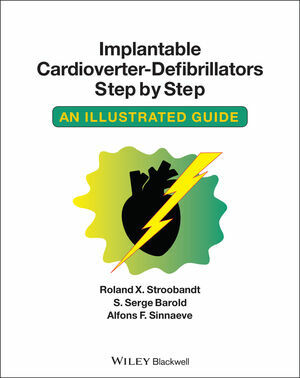 In the successful fomat established by Cardiac Pacemakers Step by Step, this handy paperback demystifies the devices that have revolutionized cardiac care. to explain important aspects of ICD therapy. Progressing from basic to more sophisticated topics, the authors concentrate on clinically useful material. All members of the patient care team will welcome this timely guide. 3. ICD hardware Battery, capacitors and leads. 9. Complications of ICD therapy. 12. Special ICD functions and resynchronization therapy. 13. ICD function with emphasis on stored electrograms. Representative examples 1 to 65. 4. ICD implantation and lead systems. 5. Sensing and detection of ventricular tachycardia/fibrillation. 8. Timing cycles of ICDs. 13. Appendix A: American College of Cardiology/American Heart Association/European Society of Cardiology: 2006 Guidelines for the Management of Patients with Ventricular Arrhythmias and the Prevention of Sudden Death. 14. Appendix B: American College of Cardiology/American Heart Association/Heart Rhythm Society: 2008 Guidelines for ICD and CRT.